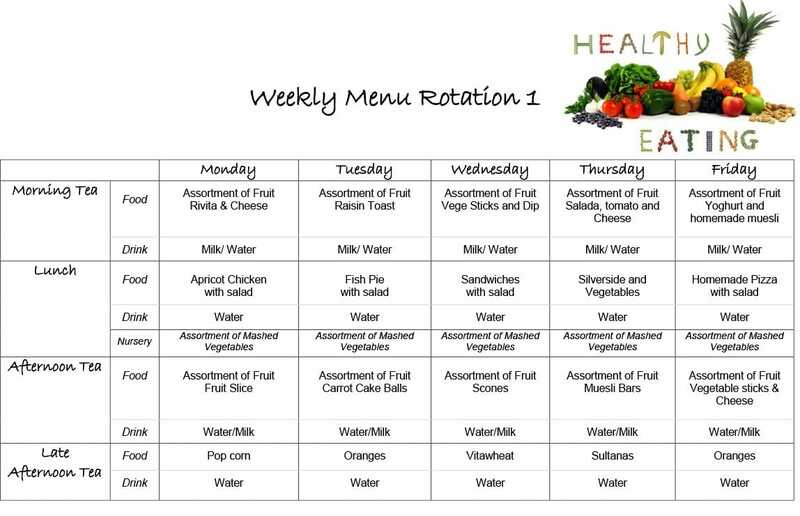 At Kookaburra we provide nutritious healthy meals daily throughout the Centre. 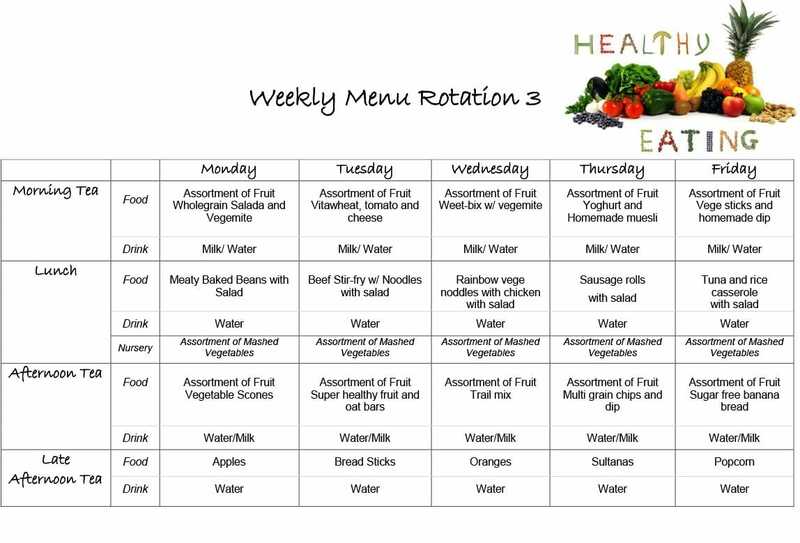 These meals are prepared daily onsite by our wonderful cook Pam. 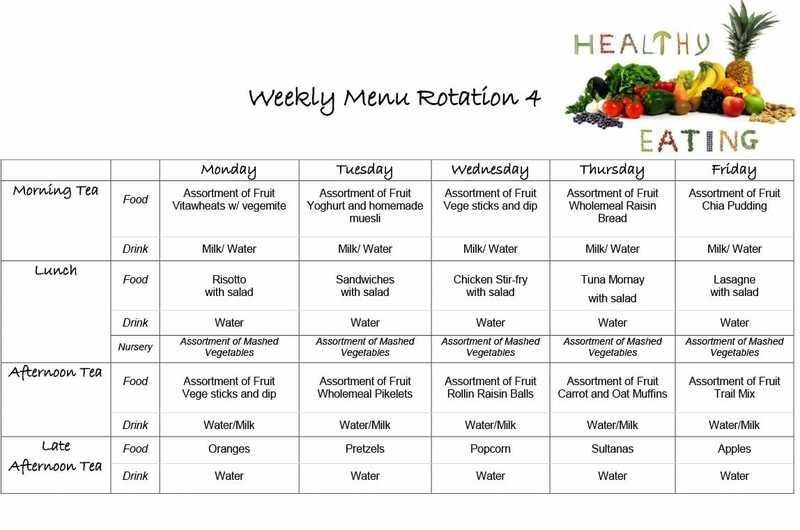 Our menus are provided on a 4 weekly rotation ensuring that children are offered a wide variety of different foods. We provide morning tea, lunch, afternoon tea and a late afternoon snack. Children with food allergies are catered to on an individual basis to ensure no cross contamination occurs. Kookaburra is a NUT FREE and EGG FREE Centre. Please find below a copy of our current menu. 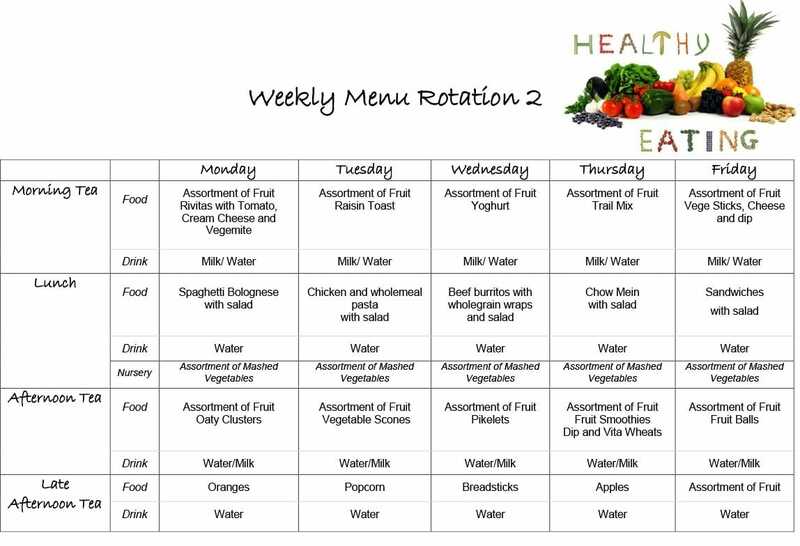 These menus are updated regularly by taking children's needs into consideration.